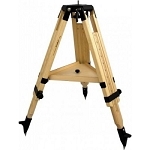 The Berlebach UNI Tripod has been developed for professionals and will hold your Mount with ease. Strong leg segments made of Ash Wood, with precision made metal elements ensure the quality required by professional users. The tripod is stable, with no vibration. 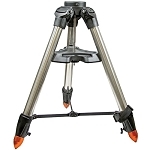 All UNI Tripods are equipped with a stop position system so the legs can be braces at angles of 20°, 35°, 55°, and 80°. 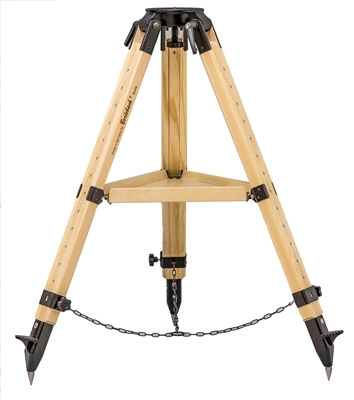 Metal clamps are standard on which you can attach a steel chain. 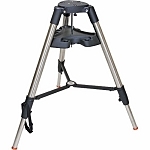 This tripod is suitable for cameras of all sizes as well as telescopes and large binoculars. 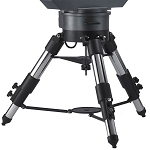 The mounting head is changeable to connect a variety of different telescope mounts. Light-metal mounting head with spring-loaded 3/8" fastening screw, or 1/2" . Other thread sizes on request. Continuously variable leg spread. Diameter of mounting area 160 mm. - Weight: 20.28 lb.